DEDIENNE SANTÉ specializes in designing, manufacturing and marketing its own brand of orthopedic implants. Our flagship products are artificial hip and knee joints and their instrumentation. We are always listening to market needs; we are now adding a line of sports medicine implants, to be used with arthroscopic techniques.In 2016, we celebrated 30 years of experience in the orthopedics industry! In 2000, SME (Société Medical Equipement) became DEDIENNE SANTÉ, and our company’s bold path began. But our story truly goes back to 1986, when Gérard Fonfreide founded SME, in Mauguio, France. Today, the brand plans to make full use of the Dedienne Group’s knowledge and skills in plastics, targeted specifically to the healthcare industry. The Dedienne Group is led by Jean-Claude Volot, and has its own roots in the expansion of the Dedienne plant, which was founded in 1947 in Clamart, France by Roland Dedienne, a renowned expert in precision plastics engineering. Since its founding, DEDIENNE SANTÉ has focused on orthopedic implants, but has also been involved in developing and manufacturing innovative cardiovascular devices such as prosthetic cardiac valves for international partners. We owe our success to our expert manufacturing skills, and also to our keen insights into the orthopedic surgery sector. Menix Group President Patrick Rondot creates key relationships with sales representatives and distributors; his highest priorities are excellent customer relations and innovative sales offerings. He is also the driving force behind Dedienne Santé’s sales momentum, and he allows us to focus on our branded implant lines. With each growth project we undertake, DEDIENNE SANTÉ seeks to collaborate closely with medical professionals. In order to integrate the entire value chain for our customers’ benefit, we rely on our own research and development lab. This allows surgeons and their teams to treat the primary indications for total knee and hip replacements. DEDIENNE SANTÉ is a company on a human scale; we are known for our sense of service and for the close, long-term relationships that we maintain with all of our partners. Our ability to implement fully customized solutions is unequaled in the industry, thanks to our sales team’s responsiveness and high level of commitment. Wherever we work in the world – Europe, Asia or South America – we at Dedienne Santé work in a true partnership with our customers. Our 2015 sales turnover was EUR 17.5 million. For three decades, DEDIENNE SANTÉ has been an important player in the French medical–surgical industry. 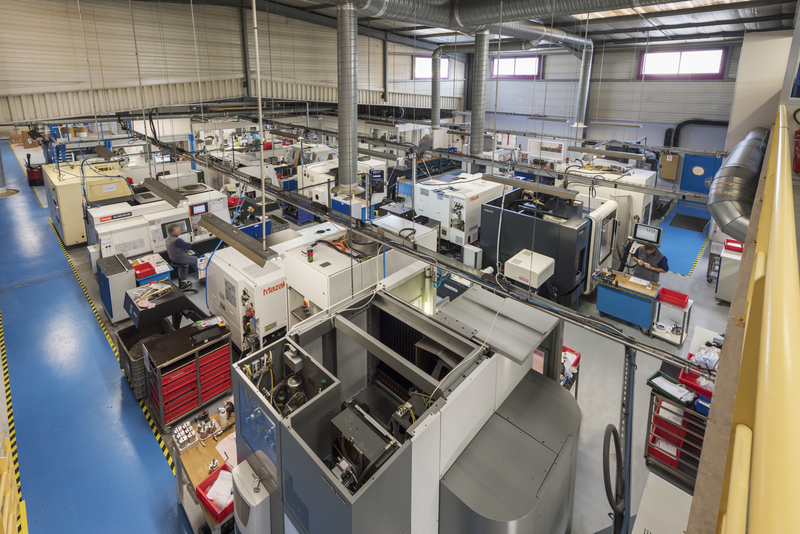 We aim to continue the tradition that makes the French medical device industry world-renown: its industrial knowledge and skills in the implant sector. DEDIENNE SANTÉ is committed to working carefully and humbly. Our company’s performance relies on the human touch and professional commitment that all of our employees bring to their work. Our staff’s skills are the heart of our commitment to innovation. Each individual’s commitment and determination guides every step of the innovation process, to create solutions that maintain a high quality of life for the patients who will receive our joint implants in the future. works in collaboration with expert surgeons who are truly our partners. This step is an absolute must; it ensures that we provide medical professionals with the highest quality, ergonomic devices that will help patients’ bodies return to normal, in both the functional and aesthetic sense. At DEDIENNE SANTÉ, we’re innovating for the needs of tomorrow. We strive to improve patients’ quality of life, and to help physicians, surgeons and their teams work more effectively. This is the guiding principle of our business. We have implemented an innovative sales system which allows us to quickly and efficiently respond to any type of request from our partners. Over the decades, our company has gained a reputation for responsiveness and for the ability to create custom solutions. At Dedienne Santé, we are committed to manufacturing our products in France; this enables us to bring our specific, reliable, serious and flawless expertise to bear. This applies to all of our products: regardless of where they are headed, they are all stamped, “Made in France.” Our manufacturing plant is located in Mauguio, France, in the up-and coming Languedoc-Roussillon Midi-Pyrénées region, known for its MedTech industries. This facility includes an extensive technology support centre, from our research and development lab to our “clean room,” which is essentially a sterile environment. Our implants are the result of the knowledge and skills of the men and women who work in our labs and factories each day. In 2016, Dedienne Santé was recognized locally as a fast-growing MedTech company, due to our exemplary business model. We received the prestigious Pass French Tech label.